I decided to paint the frames in my Annie Sloan chalk paint in Duck Egg blue. I was too lazy to prime then paint so I used my trusty chalk paint and got straight to the painting. I also wanted to add some interest to the frames and since chalk paint distresses really well I knew it was the perfect choice. 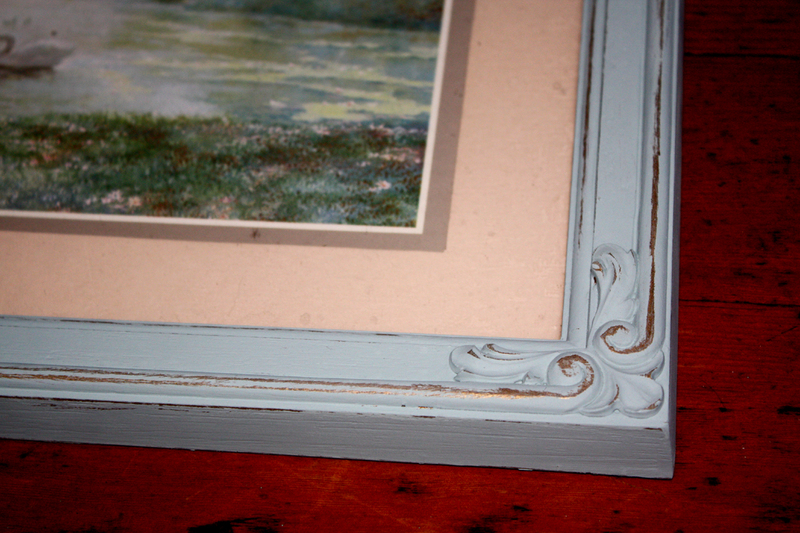 And a closer shot of the distressed detailing. 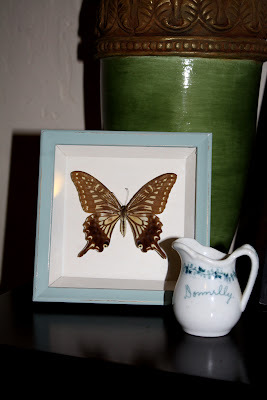 I think the distressing just makes the corners pop. 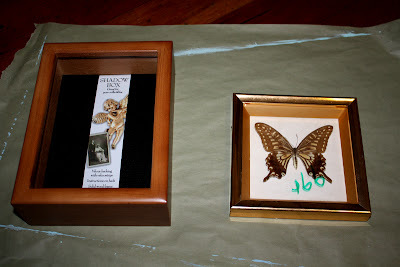 I'm not sure what I'll put in the frame, we will see what I can find. 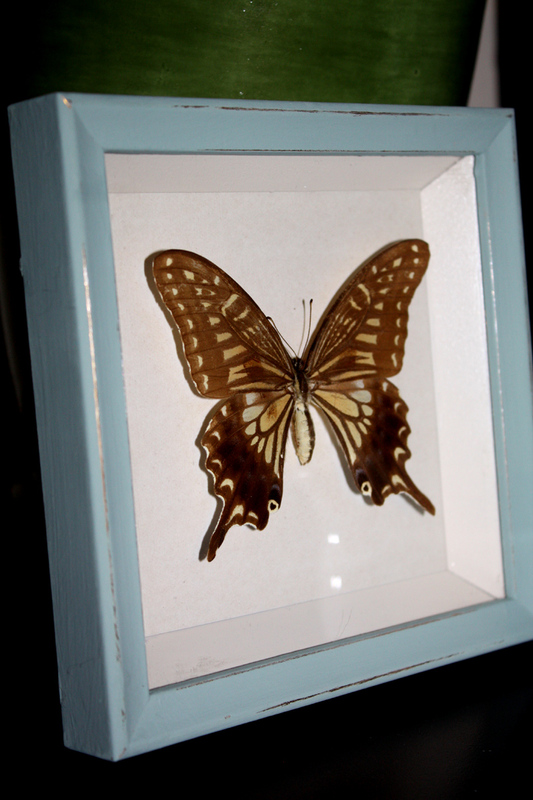 Next we have my framed butterfly. 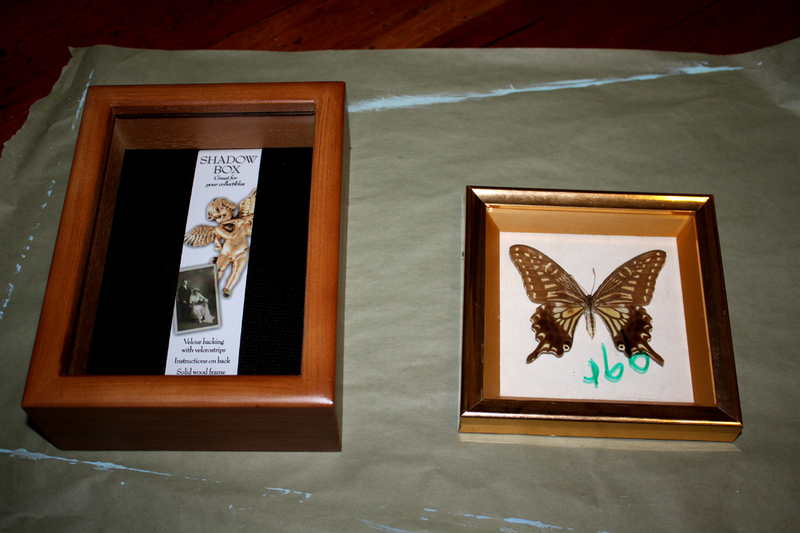 There was also a separate beveled edge inside the frame that I painted white to act as a matte around the butterfly. And last we have the framed quail eggs in the shadow box. 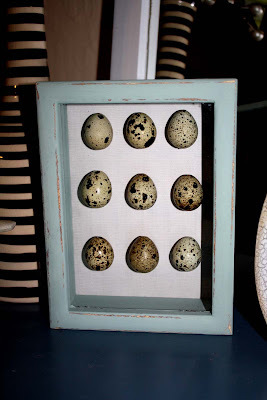 I glued the remaining blown out quail eggs on a piece of paper cut to size that had a woven fabric look. 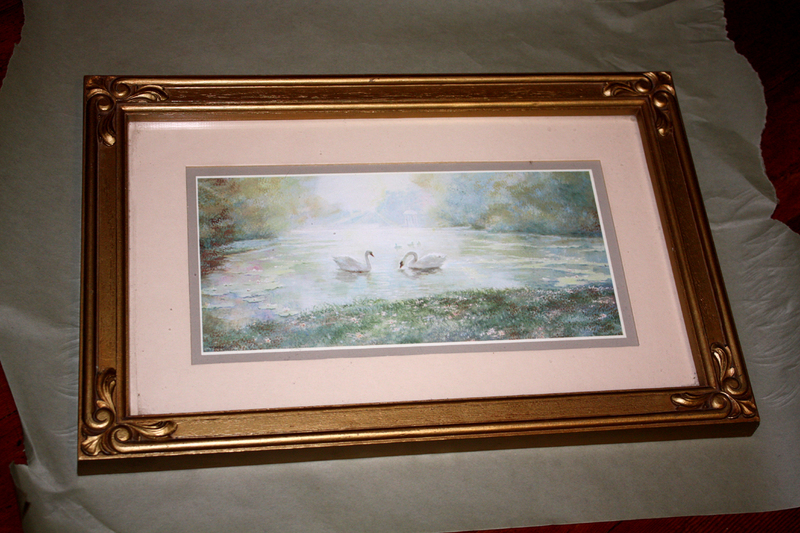 Since the frame was pretty plain looking I distressed the edges a bit. 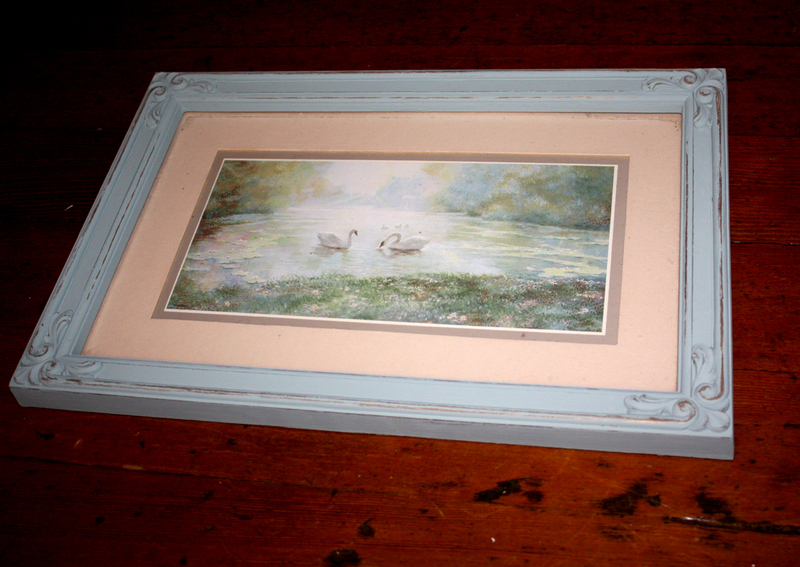 I love the way the paint and distressing brings out the detail on the first frame. I would not have been able to see it's potential like you did.